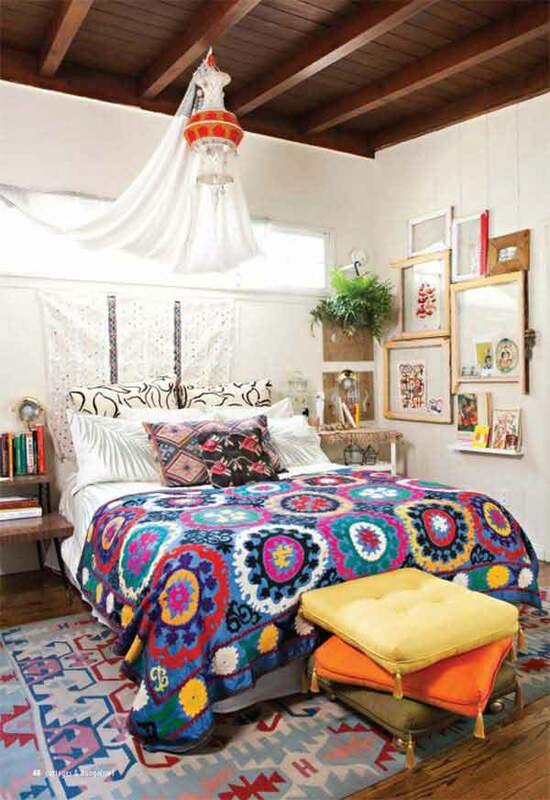 A Boho Chic Bedroom is that kind of space that perfectly expresses your personality. Bohemian style is a popular way to express your inner hippie. Not only that, bohemian inspired accents could create a warm atmosphere on the interior design. There are many decorating ideas to help you turn a bedroom into a breathtaking bohemian retreat. Bold hues, pretty patterns, organic elements, artistic atmosphere and vintage furniture…have a look at these 35 charming bedroom decorating ideas in boho-chic theme.